Everywhere you go you can spot someone snapping a selfie. Whether they're discreetly turning the camera on themselves as they stroll through a party, or prepping a long selfie stick and posing for a group shot, selfies seem to be the photo-snapping pose of choice at social events. But with the convenience of self-snapped portraits comes challenges as well. It can be tough to find good lighting. 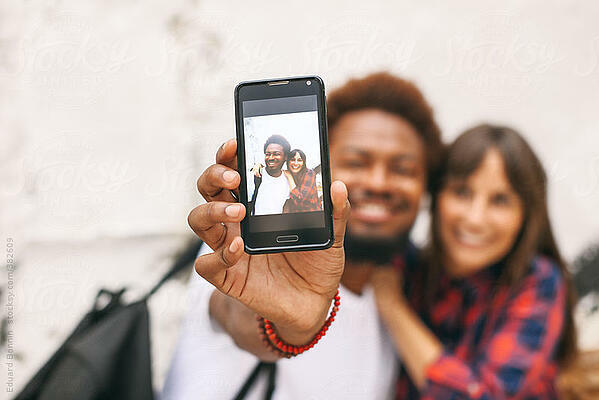 Unless you have an incredibly long arm or a 4-foot long selfie stick on hand, it can be tricky to capture a shot with a group, and fumbling with your phone at a party can detract from that face-to-face fun that you could be having with your friends! Here are just 5 of the reasons why hopping into a photo booth at a party is better than snapping a selfie. It's rare that you'll capture a great shot on the first go when taking a selfie. If you get bumped, you get a blurry pic, and the lighting at parties is usually dark, resulting in pixelated pics that are tricky to edit. Photo booths are usually equipped with high-quality cameras and proper lighting set to suit the scene. 2. Share your photos in seconds. Sharing selfies on social media often requires many steps (take the pic, open the photo in an app to filter/crop/adjust exposure, open the photo in each social media profile, caption, hashtag, and then post). 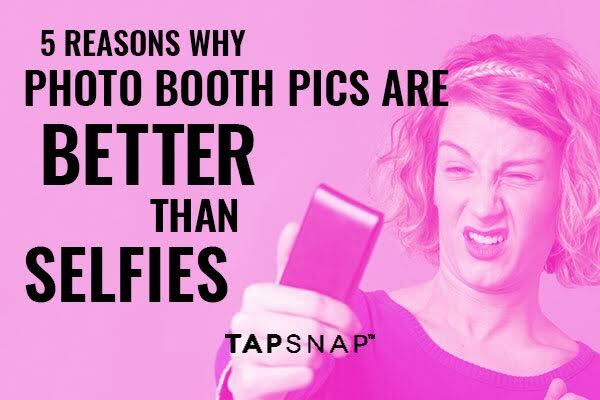 With a TapSnap photo booth, you can share the photos directly to your social media profiles or via email with the tap of the screen, or print high-quality photos in seconds. You get instant sharing with the picture quality of a professional photo! 3. Customizable backgrounds and props. You can make your party photos more fun by adding customized backgrounds, digital props, or personalized messages to your pics. With TapSnap, you can even bring your photos to life with moving backgrounds or animated GIFs! 4. Print out your pics. A big challenge when taking a group selfie, is that only the owner of the camera has a copy of the pic. Unless they email the photo to all of their friends, or tag them in a pic on social media, the picture remains in the hands of the owner. With traditional photo booths, the same problem arises. Only one print of each pose is available to the ones in the photo. With TapSnap, guests have access to an unlimited number of high-quality 4 X 6 prints, so everyone in the shot can take a copy home as a special keepsake. 5. Be included in the party album. TapSnap photo booths come with the creation of an online photo album that is shared with the party hosts and their guests via email. Popping into the photo booth ensures that you'll be included in the keepsake, so the hosts can remember that you were there and enjoy looking back at the fond memories captured in photos. Selfies are short-lived, while photo booth pics last a lifetime. Want to invite TapSnap to your event?